Want to take your salmon cooking to the next level? Try this amazing recipe from Cooking With Chia by Nicky Arthur. I added yummy mashed cauliflower with garlic which is a smooth as mashed potatoes. Smelly cauliflower can be counted as a superfood . Its sulfur compound has been shown to kill cancer stem cells, thereby slowing tumor growth. It also improves blood pressure and kidney function. Cauliflower also contains a wealth of anti-inflammatory nutrients to help keep inflammation in check. Steam the cauliflower until soft. Puree cauliflower with a hand mixer add greek yoghurt and season with crushed garlic and ground pepper. Serve with salmon. Enjoy!! Salmon doesn't need an introduction nowadays. You know its rich omega-3 fatty acids will keep that heart healthy and that your post training meal is not the same without it, due to its high protein content. Also you feel safe eating salmon compared to other fish, as it has much lower mercury levels. All fish have mercury, however some are safe to eat! This simple seasoning is outstanding and we couldn't wait to share. Got some mint? Preheat oven to 200 degrees C. Place baking paper in a baking dish. Mix the olive oil and lemon and season the salmon with it and add ground pepper to taste. Place the salmons in the baking dish and sprinkle the fresh mint over it. Place the cherry tomatoes around the salmon. Place in the oven for 15 minutes. Server with hot sauce for contrasting flavours. Enjoy! There are so many ways to stuff peppers. We decided to go quinoa! Chick peas, jalapeño peppers, quinoa and coriander make a perfect combo with these delicious sweet peppers. It is also so fulfilling you can't continue eating. The carrot noodle salad is amazing with the mint dressing that will help you eat get through spicy jalapeños. The contrast is mind blowing! Preheat oven to 220 degrees C (428 degrees F) . Coat a shallow baking dish with olive oil nonstick cooking spray. Make the dressing by combining all ingredients in a kitchen processor and blending until smooth. Place in fridge. Cook the quinoa according to instructions in the package. Heat in a small sauce pan the chick peas, coriander and jalapeño peppers for 3 minutes. Add the quinoa once it is ready and cook for 1 minute. Set aside. Prepare the pointed peppers by cutting them in half and removing the seeds. Do not remove the stems just cut through. Place the peppers in the baking dish and fill with the quinoa-garbanzo mix. Bake for 20-25 minutes. Meanwhile, prepare the carrot noodles. Peel the carrots and slice them with the spiral slicer, if you don't have one continue to 'peel' them with the peeler to create long noodles. Steam the noodles for 2 minutes until al dente. Serve the peppers on a plate with the carrot noodles and sprinkle the noodles with the mint dressing. You've made enough dressing to combine with steamed fish, veggies and salads. Zucchini pasta is the rage now! If you don't have a spiral slicer you should reconsider. It will make you enjoy your veggies even more! This simple recipe is succulent and easy to make. 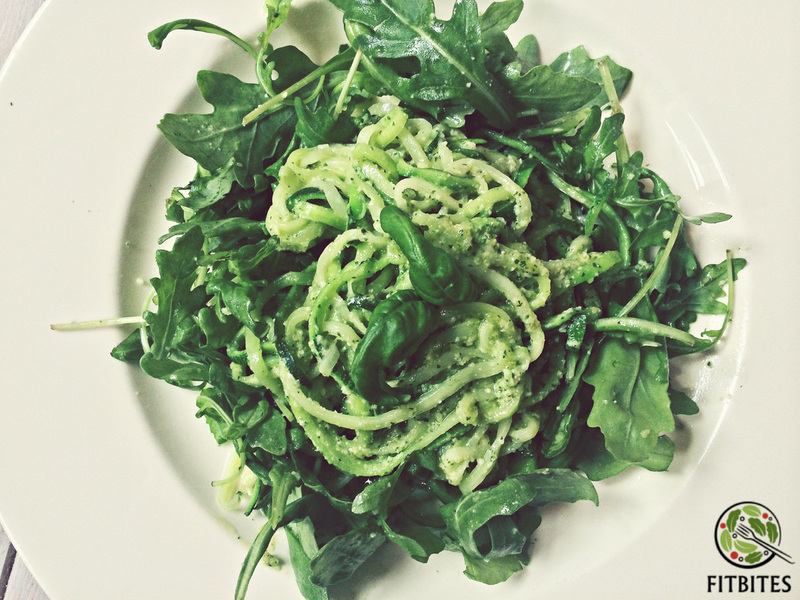 We love the combination of zucchini with home made pesto and rucola, it fools your own palate to believe you are having real spaghetti. Instead of getting all the carbs from pasta; Zucchini is a very low calorie veggie as it provides 31 calories per one medium size. The peel, which we use, is a good source of dietary fibre; it helps reduce constipation and protects against colon cancers. It's also rich in potassium, vitamin A, Vitamin C and folates. Also called summer squash and courgette, zucchini is technically a fruit, and available all year long. Enjoy this lovely 'pasta' dish for dinner or lunch. It will leave you satiated. Make the pesto by combining all ingredients in a food processor. Put aside. Convert the zucchinis in spiral pasta by using the slicer. If you don't have one, use a peeler to create more a tagliatelle looking pasta. Heat a non-stick pan and steam the zucchini pasta for 1-2 minutes. It should be al dente! Add 4 tbsp of pesto to the pasta and mix well, add more if you can't resist the taste. 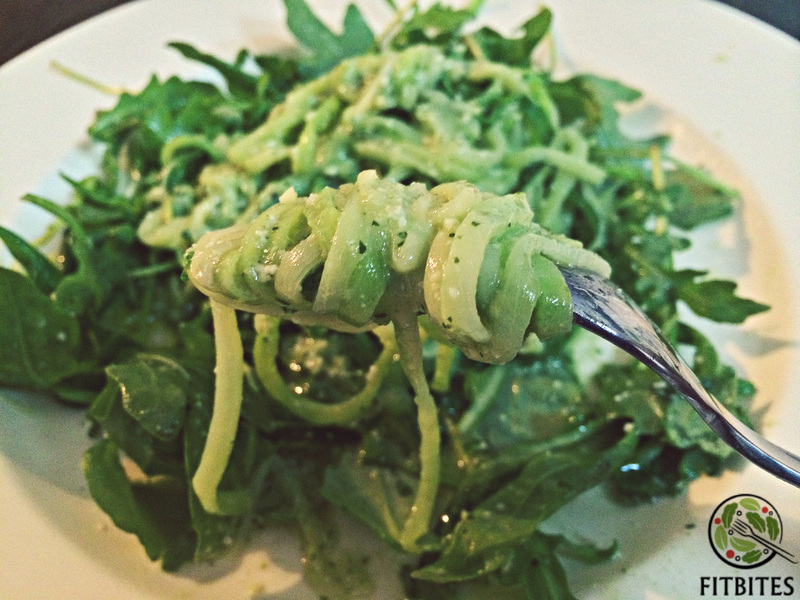 Serve the rocket salad on a plate and place the pesto zucchini pasta on top. Garnish with fresh basil. Enjoy!! Craving for meat? The real stuff? Whether its lamb or beef, indulge in your cravings by ensuring you cover the veggies as well and if necessary add sauces but low calorie ones! This meal doesn't take long and you will receive a healthy portion of proteins. A great reward after working so hard the whole week! Make the chimichurri sauce by combining all ingredients and mix well in a bowl. Taste and adjust flavour with salt and pepper. You can make the sauce between 24-48 before and store in fridge. Peel the sweet potato and cut in three pieces and put to cook in boiling water. Add the frozen kale after 4 minutes. Season the lamb chops with salt and pepper and heat a sauté pan. Add the coconut oil and place the chops in the sauté pan and cook for 8 to 10 minutes (depending on their thickness), turning every minute or two, until coloured on both sides. Drain the water out of the potato and kale and mash with greek yoghurt and crushed garlic. Add salt and pepper to taste. 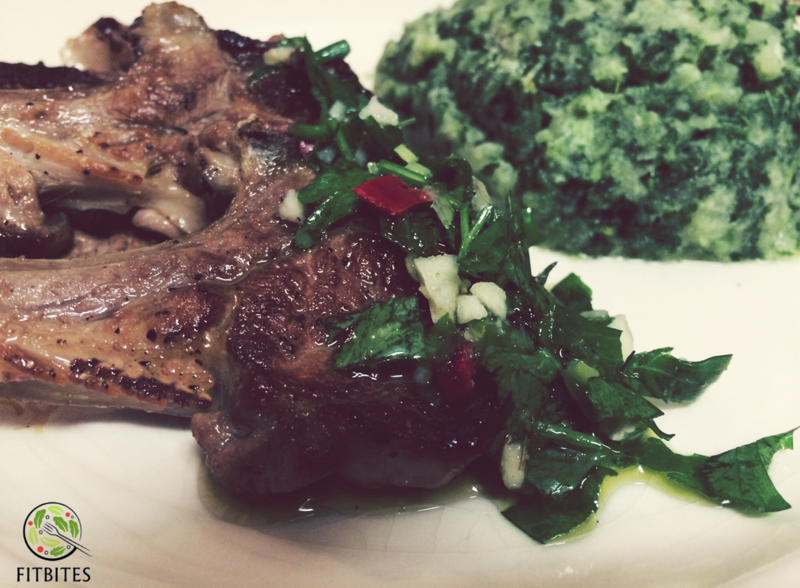 Serve the potato with 3 chops per serving on the side and pour some chimichurri sauce over the chops. Enjoy this fulfilling meal! 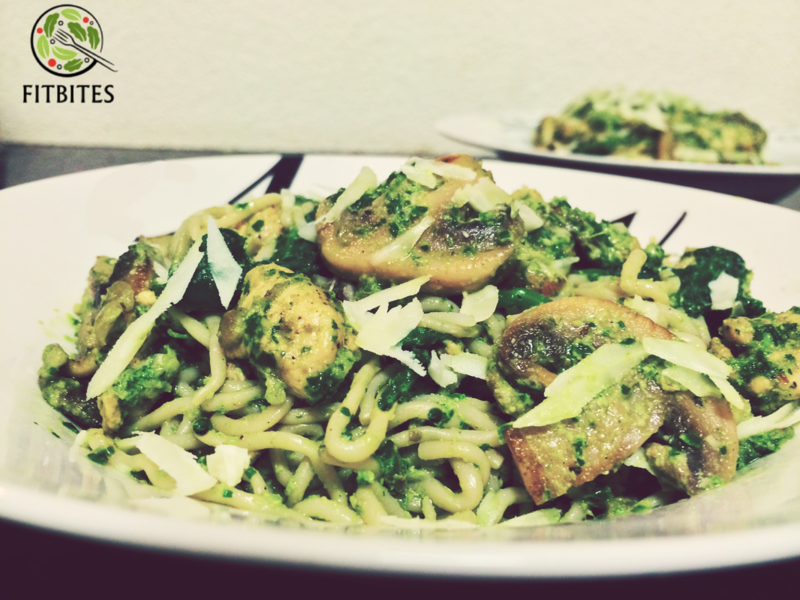 Super low-carb pasta with parsley pesto! Depending on your body type, you may have to lower your refined carb intake in order to effectively lose weight. This is painful and we know that! Our favourite dishes involve pasta and bread. We try to bring solutions and alternative for those pasta cravings and these Konjac Noodles (a different shirataki version) is one of them! These noodles are made from konjac, a low calorie vegetable but are higher in protein! Thanks to the chicken and mushrooms your protein intake will be even higher, leaving you satisfied for a while. Most importantly you will enjoy this lovely recipe, ready in 30 minutes whilst seriously believing you are having spaghetti pesto! In a food processor place the parsley, walnuts, garlic, 2 tbsp parmesan cheese, olive oil, pinch salt and ground pepper. Process until fully blended into a paste. Put aside. Rinse the konjac pasta in water and let it dry. Heat a non-stick sauté pan and add the onions and mushroom. Sauté for 3 minutes until soft and then add the diced chicken and stir for 5 minutes until well cooked. Add the cup spinach and mix well with all ingredients. After 1 minute add the konjac noodles and ensure all ingredients are well mixed. After 2 minutes its well cooked and al dente! Lower the temperature and pour the parsley pesto in the pan and stir well. Now serve, sprinkle the remainder parmesan cheese on top and enjoy this lovely low-carb but satisfying Italian meal! Healthy comfort food is possible! And we can thank that to the versatile Shirataki noodles... We can't have enough of it! This Jamie Oliver inspired recipe is perfect for those moments when you feel like having comfy food but still consciously low carb! It's low in Cholesterol and also a good source of Dietary Fiber, Vitamin B6, Iron, Potassium. No need to feel guilty after eating it! Drain the water of the Shirataki noodles and steam for two minutes in a saucepan with little fresh water. Meanwhile sauté the garlic, capers, olives, anchovies, chiles, and oregano in a little olive oil for a few minutes. Add the tomatoes, bring to a simmer, and continue to cook for 4 or 5 minutes, until you have a lovely tomato sauce consistency. Remove from the heat. Serve the Shirataki noodles on a plate and pour the sauce over it. Rip all the basil over it, and Enjoy! 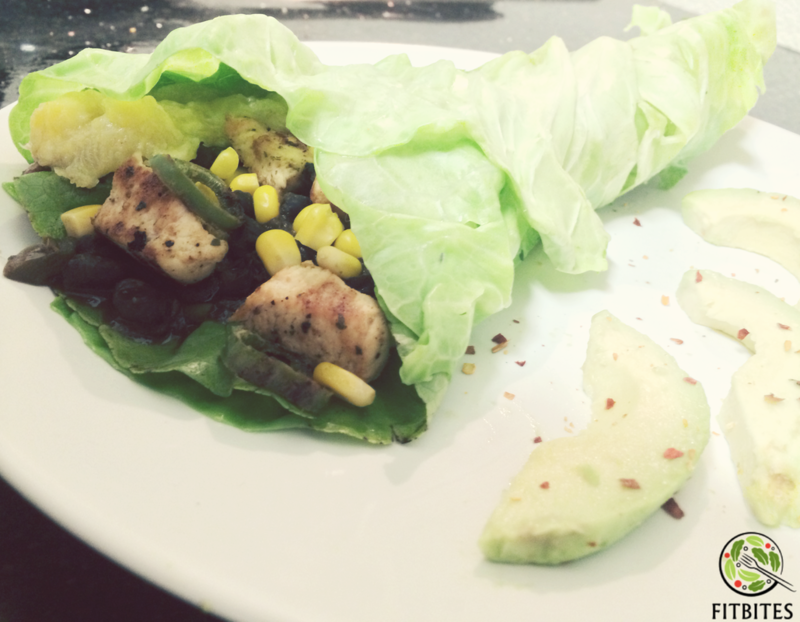 Have you dreamed of eating a big wrap without feeling the consequences? This is a fulfilling yet light lunch meal which will leave you happy and energetic. Are you a vegetarian or meat lover? We have both a chicken and tofu version! Both equally filled with a great combination of ingredients! Season the chicken or tofu with the black pepper, garlic powder and parsley. In the meanwhile cook the plantain in a saucepan with water until soft. Remove the skin and mash it, put aside. Heat up the black beans in a microwave or sauce pan. Heat up a sauté pan and add the oil. Sauté the hot pepper, corn and chicken/tofu for 8 minutes (medium heat). Steam the cabbage for 2 minutes; don't let it get too soft. Put the cabbage on a plate, (optional to add a lettuce leaf on top first) add the beans, plantain and chicken/ tofu mix. You can add Sriracha hot sauce. Wrap the cabbage tight. Eat with avocado on the side and enjoy!!! In this caribbean recipe inspired by Granny we use Alaska Pollock, a fish mainly used for deep frying. Now we want to show how super healthy it can be! Not only is Alaska Pollock a great source of proteins and vitamin B12 (phosphorous and selenium). Just like the majority of white fish it has lower levels of mercury compared to their oily counterparts. Season the fish with the crushed garlic, lime juice and black pepper. Heat a sauté pan over medium-low heat, and when warm add the oil. Sauté the yellow pepper and onion. After two minutes add the diced tomato. Mix everything and let it cook low fire for 4 minutes. Add 100 ml water and the tomato paste and mix well. Now place the Alaska Pollock in the sauce and let it steam 4 minutes on both sides. Sprinkle the fresh coriander on top and cover for one minute. Serve with black beans, quinoa or a salad! Enjoy!! Black beans are chock-full of fibre, folate, protein, and antioxidants, along with numerous other vitamins and minerals. 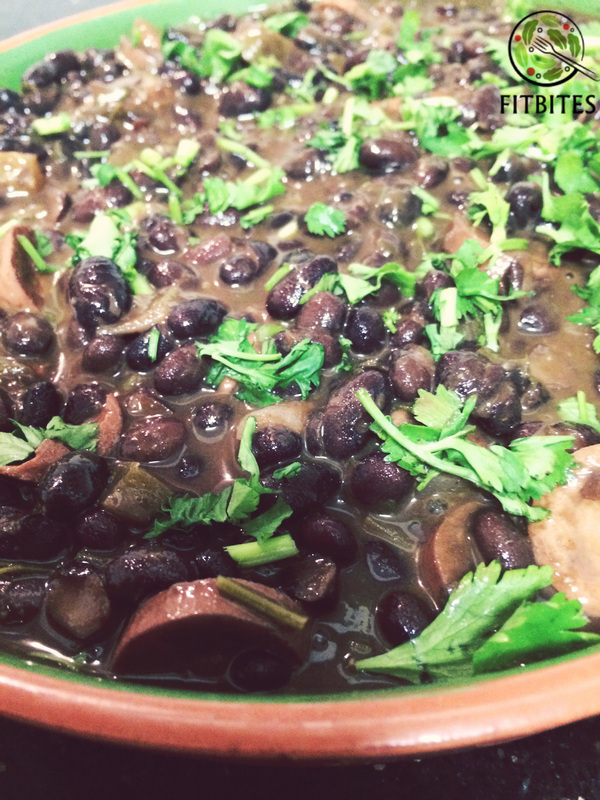 Black beans make a complete protein and are great to sustain a vegetarian diet. If you need to know more, read our short homage here. Its amazing how satisfied you feel after a meal and how creative you can be with vegetarian or meat options. If you cook half the package depending on how big your family is, you may have black beans for one entire week. No time to cook? Explore the canned options, rinse well and ensure sodium levels are low. Combine it with quinoa, in a salad or veggie wrap and you will be fulfilled and energized all afternoon! Add three cups of water for each cup of dried beans (water should be around 2 to 3 cm above beans). Let the beans soak overnight. Rinse the beans and add water again. You can cook them on a stove pot or pressure cooker. In a stove pot it can take almost 2 hours for the beans to be tender and in the pressure cooker 30 to 45 minutes. The seasoning will be added only after the beans are tender otherwise it will take longer to cook or will remain tough. While cooking make sure there is enough water in the stove pot thus that the beans are covered in water. Stir occasionally. During the last 15 minutes heat up a sauté pan and add the oil. Sauté the onion and pepper for one minute and add the diced chicken/pork/veggie sausages and cook for 8 minutes in medium fire or until done. 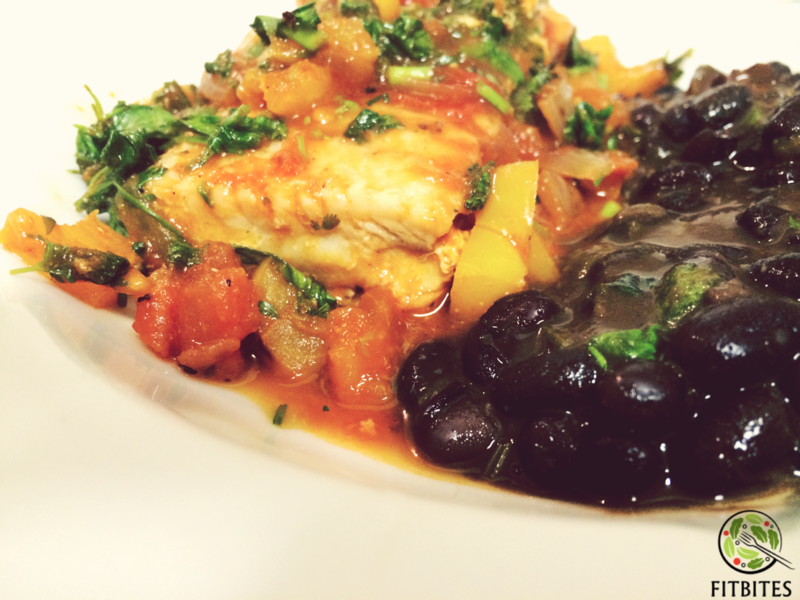 Now you can add the broth and tomato paste to the tender black beans, mix well and add the rest. Stir well. Taste to ensure its well flavoured, you may want to add an extra 1/2 broth or allow it to get a bit thicker. In the end add the fresh coriander/cilantro. Do not let the coriander cook as it won't have too much flavour left. Now enjoy for various days this delicious nutrient dense meal! That moment when you want to stick to your health goals, but you don’t have time to cook? When this situation presents itself you must be prepared. You should keep in your kitchen handy food items that you can toss together and create a delicious meal in less then 8 minutes. Canned beans are a must-have kitchen staple during urgent situations. Although we prefer to take time to cook them, canned beans are equally nutritious, fulfilling and with the right spices (hello cilantro!) downright delicious! Just make sure you buy a brand with low sodium content. Mix the kidney beans with the corn in a saucepan and add the broth. Let it cook for 3-4 minutes if you have time, otherwise just mix it well. Chop finely the cilantro and add it together with as much peppers as you can handle. You can prepare this the night before and eat it cold as a salad. You can vary this recipe as you wish by adding chick peas and with sliced avocado (half) on the side. If you have 20 minutes, cook a cup of quinoa and mix everything together. Its a fulfilling protein dense meal. Honey Glazed Salmon with Spinach and Shirataki noodles! This recipe has a Shirataki twist! Instead of pasta we use Shirataki noodles, which have a very low carb and low calories count. Which is great if you want to lose weight and want to be fit for this summer! Shirataki noodles don't have a real taste of their own. However, they easily absorb the seasoning you give them and are easily al dente! Mix the honey, the ginger, soy sauce and the black pepper to taste in a bowl and add the salmon. Make sure the salmon is covered in the sauce and let it soak for 30 min. Heat a non-stick pan with olive oil or coconut oil, and sauté salmon (without the sauce) for two minutes on one side. Turn the salmon over and sauté for 2 min until golden brown, and covered it on low temperature to ensure its cooked through and pink on the inside for 5 min (a bit longer of thick). In the meantime heat up a wok pan and add olive oil. Rinse the Shirataki noodles. Sauté spinach for 3 min and add Shirataki noodles and the sauce used to season the salmon and let it cook for 3 min. Serve the noodles and spinach on a plate and the salmon on top. For presentation (and spicy taste) add drops of Sriracha hot sauce around the plate.